The University of British Columbia (UBC) offers the Donald Wehrung International Student Award to non-Canadian international students for undergraduate study at UBC’s Vancouver or Okanagan campus. The Donald A. Wehrung International Student Award recognizes outstanding international undergraduate students from impoverished or war-torn areas, who have achieved academic excellence under difficult circumstances and who would be unable to pursue post-secondary education without financial assistance. Nominations will be accepted from secondary schools, recognized international development agencies and their affiliates, registered local or international charitable and not-for-profit organizations. A school or organization may nominate one student for UBC’s Donald Wehrung International Student Award for undergraduate study at UBC’s Vancouver or Okanagan campus. If a school nominates one student for the Donald Wehrung International Student Award, a non-profit organization may NOT nominate another student from that same school for this award. The University of British Columbia (UBC); Vancouver or Okanagan campus; Canada. Can be renewed for up to three additional years of undergraduate study, or to degree completion, whichever is less, provided the recipient achieves satisfactory academic standing in their faculty, continues to demonstrate financial need, and maintains their Canadian Study Permit (visa). The value of awards is commensurate with demonstrated financial need, and sufficient to cover tuition costs for the relevant program of study, and living expenses. Secondary schools and recognized international, community-based, and non-governmental organizations may nominate candidates using the nomination form, found on the official webpage. Download the Donald A. Wehrung International Student Award Nomination Package(PDF) to nominate a student for this award. Early application is encouraged, to ensure an application decision can be made in time for nomination consideration. It is important to visit the official website (link to it is below) for complete information on this award. Nomination packages must be postmarked by December 1, 2016. Nominees must also complete the online application for academic admission to UBC by December 1, 2016 and meet the UBC English Language Admission Requirement by January 31, 2017. 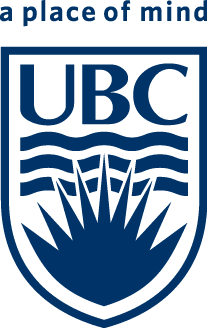 Although applicants to UBC can specify two program choices in their application for admission, an award nomination will be considered only in relation to the nominee's first choice program.